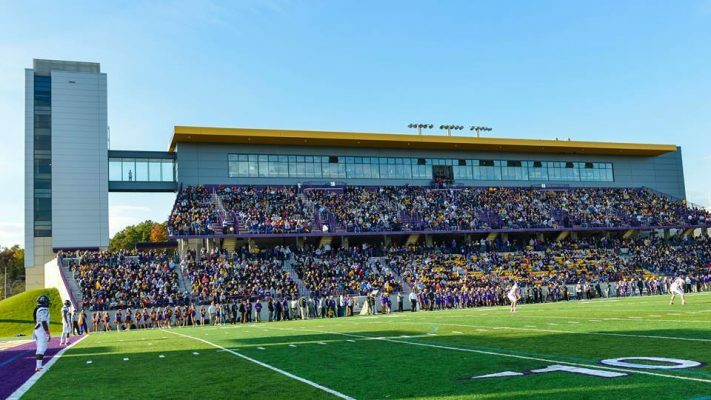 Entertainment collides as Crossgates Mall joins UAlbany this season at four home games. Before the game officially begins, visit the Crossgates booth to win prizes and swag to get you prepped and ready for the big game…come find us and you’ll never know what you’ll walk away with to help you celebrate afterwards! Download the new DANEger Zone Rewards app, presented by Crossgates Mall, and collect points simply by checking into the game. Points accrued give you the opportunity to win amazing prizes from various stores, restaurants and entertainment destinations at Crossgates Mall. Tag #Crossgatesmall in your game day pics showing off your Crossgates swag in order to win even more cool prizes. Let’s get this W-I-N, Great Danes!